I think nearly every woman I know in my life would probably agree with the above quotation. Georgiana Cavendish, was a duchess first, socialite second and one of the most popular fashionistas in her day. 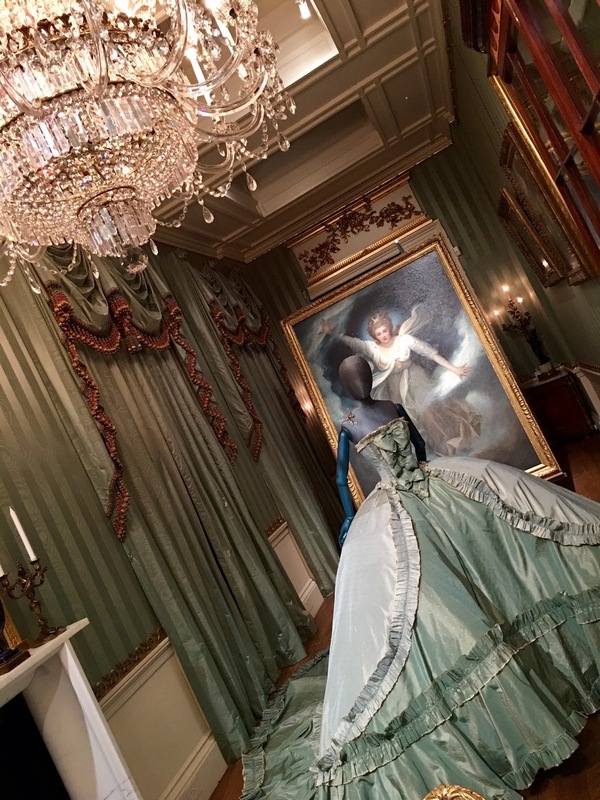 The fashion exhibition House Style at Chatsworth House, plays a nod to all the great women who have links with this house over five centuries. Throughout this wonderful house, there are lots of beautiful pieces of clothing, jewellery, accessories, photographs and very personal artefacts that really give you a feel for the different generations of family that lived there. There’s lots to see, and you will be enticed to look at every little detail, it was very well laid out. Some of the rooms are perhaps a little dark to really get a good view, however it’s important to protect the clothing from sunlight damage. The only thing missing, was a glass of champagne as you walked around!! You can take pictures throughout, these are some of my favourite. 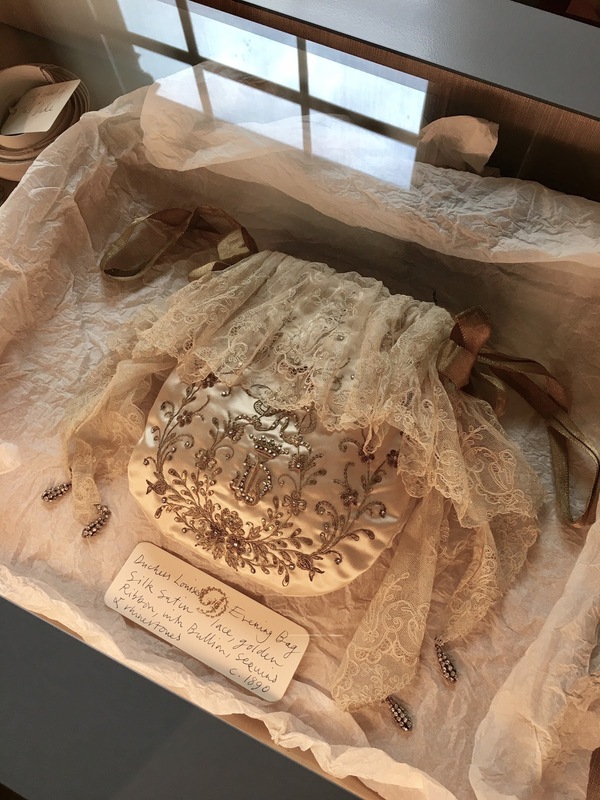 An evening bag which was so beautiful, so fragile too! They had a room where current designers made their own version of an historic item. 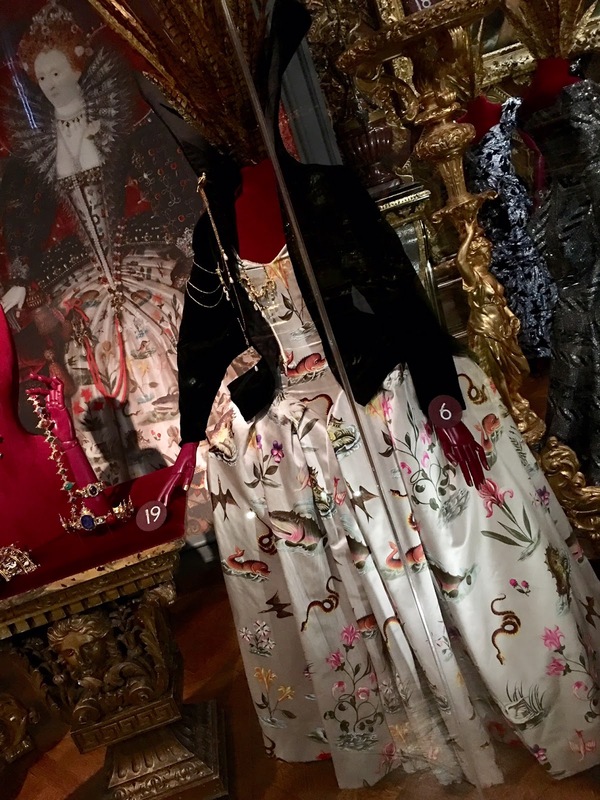 This was my favourite, Vivienne Westwood, she created this dress inspired by Queen Elizabeth I, you can just about make out the portrait behind. My favourite room by far! 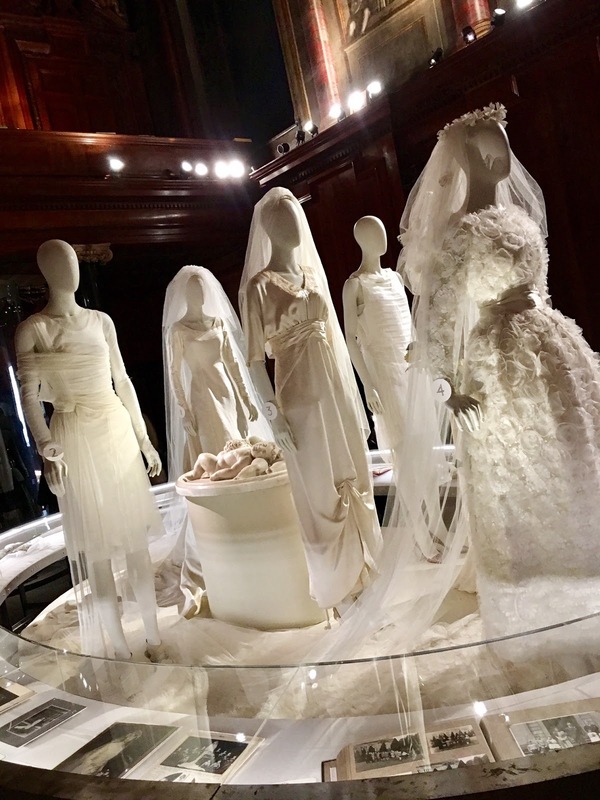 Six wedding dresses all worn by the different Duchesses. For the most part, these women chose simplicity and I just loved that. Don’t go on your own – the exhibition is quite large for it’s kind and there is so much to see, so take a couple of girlfriends and make a day of it. And dress up, why not, you are going to be surrounded by fabulous items throughout! Take a picnic – if the weather had been warmer, and as the exhibition goes on until October you will definitely get the chance to, I think it would have been nice to have a traditional British picnic with strawberries and champagne in wonderful garden at the back of the house – it was simply fabulous to sit out there and observe the gardens, the people and just admire the actual house! Take your time – there is so much to see and you may feel, as it can be quite busy, to be moved on by the people behind you – just let them pass. 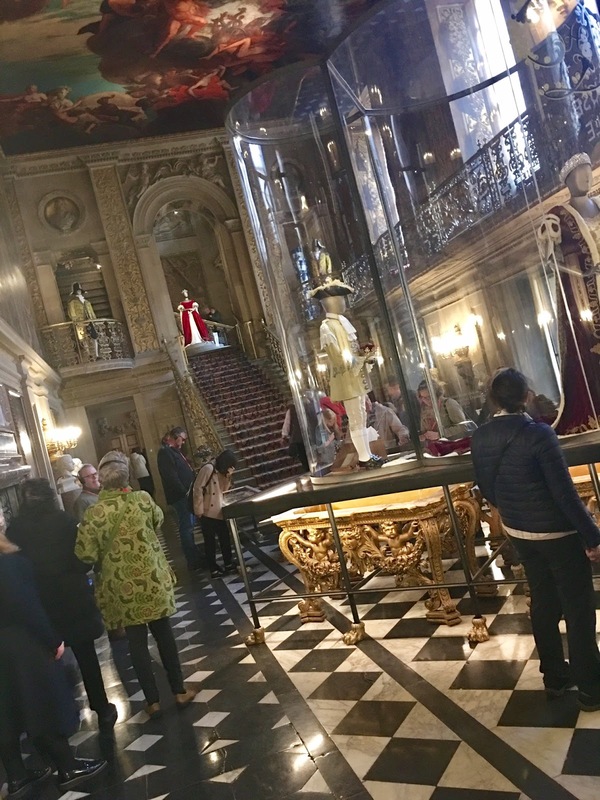 Chatsworth have laid everything out well, and some of the notes to explain items are written by hand, so it will take you a little longer to read them – but I think this is a great personal touch Chatsworth have done here. Enjoy the gift shop – it was a lovely unique little shop right at the end of the exhibition, and there was another one, which had house and garden items in by the cafes. If you have a few birthdays coming etc, then I would explore their accessories and especially their cards as there was quite a lot you would not get on the high street, I love shops like that! The day I went, the weather was not so great and I thought the house would be cold, but actually it was very warm. 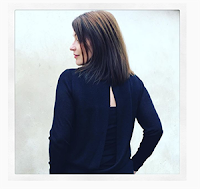 I wore a simple black polo from Zara and I team this up with my new Sofia striped skirt in black and white from Hush, which I simply love, love love; this hits two Spring trends – monochrome and stripes. There will be more about this skirt on a future post! 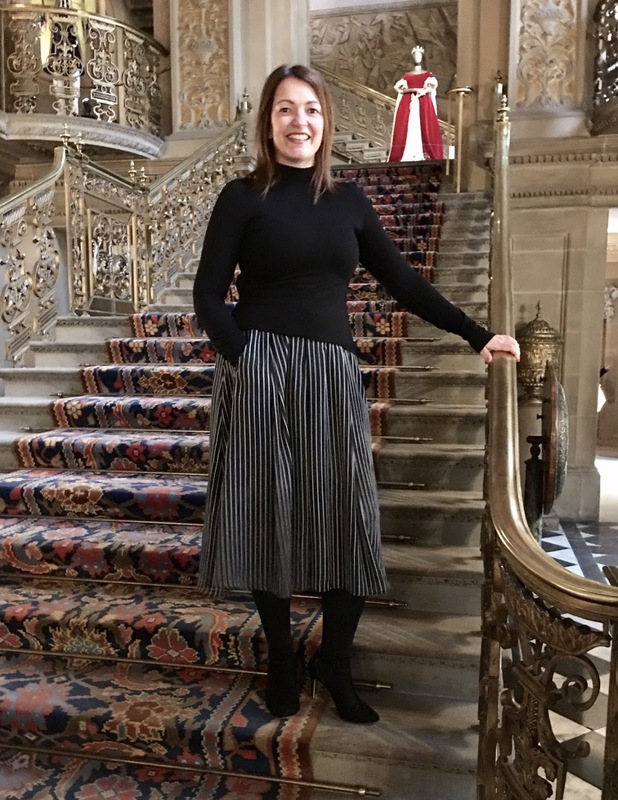 The post, My five tips for when you visit House Style at Chatsworth House, was on Loved by Lizzi first. 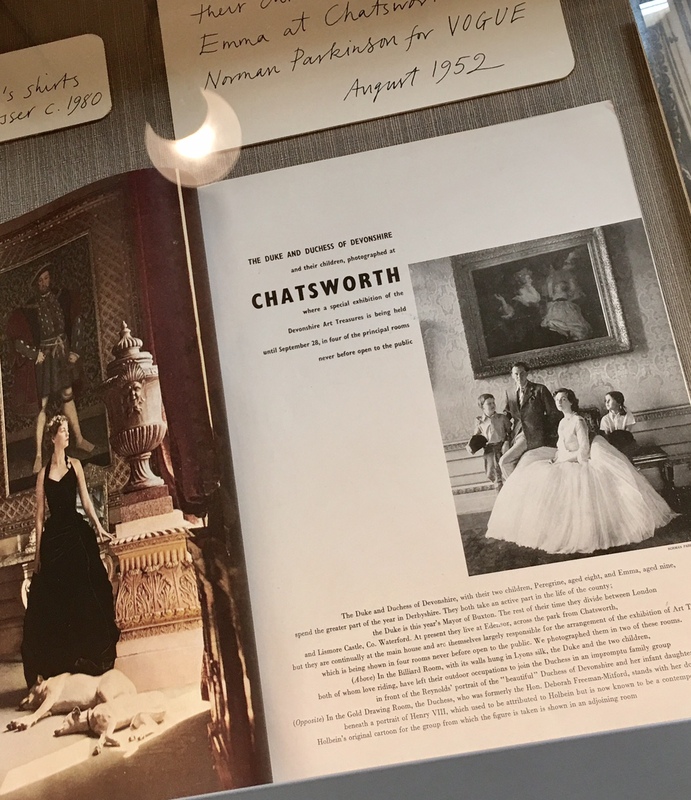 An exhibition exploring five centuries of fashion and adornment at Chatsworth, has been curated by Hamish Bowles, International Editor-at-Large at American Vogue, with creative direction and design by Patrick Kinmonth and Antonio Monfreda. On until the 22nd October 2017 and the price is included in the purchase of your house ticket. To book, click here. Previous Post Oh what a week!